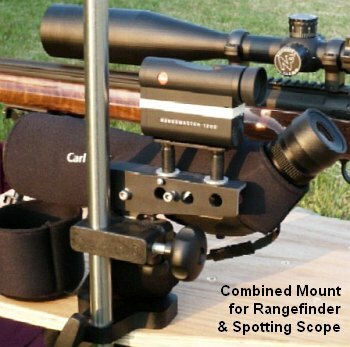 Share the post "6-6.5×47 Varminter with Trick Mount for Rangefinder and Spotting Scope"
Or…maybe it should be called a Short CHeetah Mark I. It is essentially the same case shape and size as the 40* 308BR case except a few (4?) mm’s shorter so of course it would be a real performer. I noticed none of the RL powders were tried. 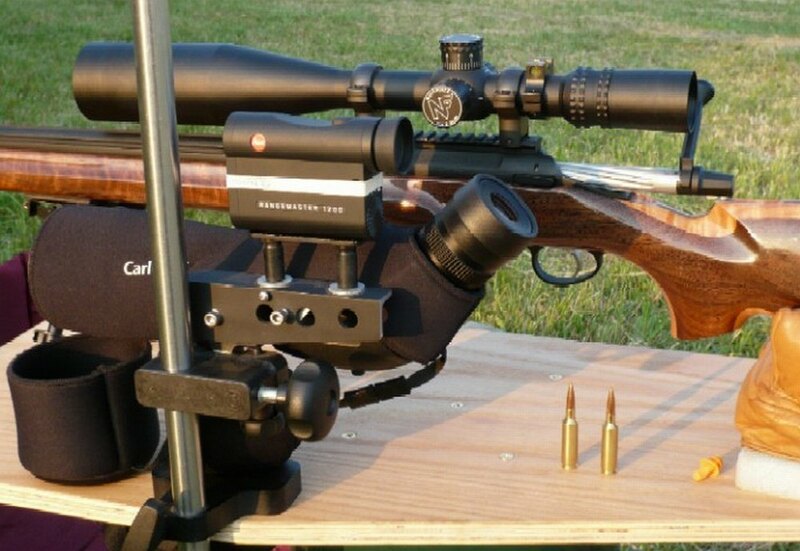 Maybe too bad because my Cheetah (.224)didn’t shoot worth a hoot until I filled the cases with RL-15. 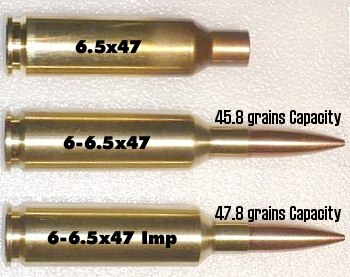 Like magic with velocity numbers which are almost too good to be true and accuracy sufficient to sadden any varmint. Dave Kiff made a reamer for me of the 30* sort in 6mm which I figured would be fast enough. I haven’t gotten around to it as yet, but I’m thinking RL-15 or 17 will be on the to try list for certain.